"In this spin on the fairy tale, Hansel & Gretel are now bounty hunters who track and kill witches all over the world. As the fabled Blood Moon approaches, the siblings encounter a new form of evil that might hold a secret to their past." Sometimes there's nothing wrong with a bit of low-brow, action-horror full of CGI if you're in the right mood for it, and that's precisely what you get with "Hansel & Gretel: Witch Hunters". Directed by Norwegian Tommy Wirkola, who was also responsible for the dreadful and vastly overrated "Dead Snow" (2009), "Hansel & Gretel: Witch Hunters" continues his love for over-the-top gore and allows him to throw in some light-hearted touches which make it a rather fun experience if you are the kind of person who can switch off your brain enough to enjoy the ride. 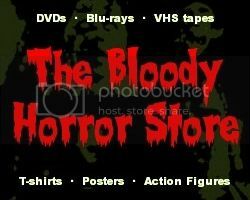 It's not a movie which will stand up to any kind of critical deconstruction because it's predictable as can be and contains so many anachronisms that it makes "Van Helsing" look like a historical documentary in comparison. Of course, it's impossible to say anything about "Hansel & Gretel: Witch Hunters" without mentioning "Van Helsing" (2004). Both movies are firmly in the "fantasy action adventure" category, they look almost identical, and, to be honest, if it hadn't been for Stephen Sommers, I doubt that this genre of movies would still have a market. There really are some people who actually like "Van Helsing" and, presumably, the Paramount and MGM executives have been looking for a way to emulate Universal's cash grab for some time. Thus, "Hansel & Gretel: Witch Hunters" has similarly cool weaponry, wire work, and CGI in bucket loads. What it does differently, however, is up the violence and profanities. It's also a lot quicker over the ground. Don't go into this thinking that you are going to see the quintessential dramatisation of the "Hansel and Gretel" fairytale or you will be severely disappointed. That part is dealt with so quickly that it's almost shameful. There are so many ways that it should have been lengthened to show the kids being tortured and force fed by the cannibal witch that I'm sure someone will do precisely that eventually to redress the balance. The Brothers Grimm are probably spinning in their graves at the liberties which have been taken here. 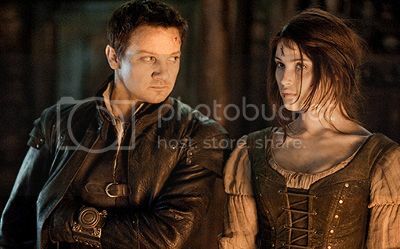 "Hansel & Gretel: Witch Hunters" isn't really a film that's either about kids (except as a plot point) or for kids anyway. It's only meant to be a throwaway, January, popcorn flick which showcases the talents of Jeremy Renner ("Hawkeye" from "The Avengers") and gorgeous Gemma Arterton (from "The Disappearance of Alice Creed") as they get into some severe badassery in an overblown 3D pop video. As someone who has already learned to expect very little from Paramount and MGM, I can't say that there's anything wrong with them making a film like this at all. I'm only surprised that they didn't wait to release it during the Summer. While "Haweye" and "Alice" turn in some fairly decent and potty-mouthed performances, this isn't a film that's concerned about acting or characterisation so much as it is about stunts, automatic weapons, and spectacle. It easily excels in all three of the latter and makes an ideal replacement for the "Underworld" franchise. Just like "Underworld: Awakening" (2012), you really need to see it in 3D for the full experience even though the gimmicky effects are too fast and too dark in some places. For me, Famke Janssen stands out the most as Muriel the evil witch, but that's probably because I'm biased and fancy her even with her horror face on. Your mileage may vary especially with Pihla Viitala looking equally lovely as the good witch Mina. It's a pity that Ingrid Bolsø Berdal isn't allowed to have a glamorous moment, but that's karma paying her back for being in "Chernobyl Diaries" which I still haven't managed to get through. If I want to see Ingrid looking hot, I'll just rewatch "Cold Prey" anyway. I would like to say something good about Derek Mears (Jason Voorhees from the "Friday the 13th" remake) as Edward the troll, but I can't. I'm not sure how much of his costume is practical and how much is enhanced with CGI, but it's not really important. Either way, his character is rather pointless after one scene and isn't a million miles away from being a clone of the Frankenstein monster from "Van Helsing". A lot of stuff is shot against a green screen which makes a bit of a mockery of the location filming in Germany, but to give credit where it's due, the forest and faux mediaeval village setting look perfect. If you want all the "smoke and mirrors" spoiled for you, watch the video below. I highly recommend "Hansel & Gretel: Witch Hunters" particularly to "horror-lite" fans. If you fancy a bit of instantly forgettable fun this weekend, you could do a lot worse. At the very least, it's a mainstream theatrical release which delivers a substantial amount of adrenaline-pumping entertainment.